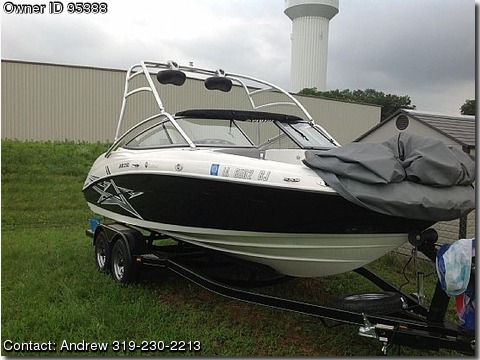 Call Boat Owner Andrew 319-230-2213. Description: Great looking 2011 hardly used Yamaha AR210. thing that needs to go. It has 3 years left on that. carpet, depthfinder, full gauges, SS prop, storage, battery. Very nice to help with the steering. I can throw in the wakeboard and some waterskies for the right amount. Has had the oil changed each year and maintenance done by a certified tech. Has some small scratches from use other than that everything else looks great.